Who is the AEGEE member of the year 2016? Which antenna, which project was the best? The Golden Times asked more than 70 locally or Europeanly active members. In this edition: read what Marta Wnuk, Paolo Ghisleni, Florian Hauger, Daniel Llamazares, Andrea Schmelz and Claudio Gennaro said. Marta Wnuk: Chairing the opening plenary in the marvellous Donizetti Theatre in Bergamo was a one-of-a-kind experience. AEGEE-Bergamo deserves a standing ovation for arranging this unique location. I was very lucky and privileged to be able to work there and do my part in delivering this outstanding experience to the participants of the Agora. Marta: Chairing the closing plenary of Agora Bergamo and handling the situation that resolved around the elections to the Comité Directeur and the statement of the Network Commission was definitely one of the most challenging moments. I think that all the controversy and emotions involved were remembered by many AEGEE members. Marta: Tom Simons – for his great dedication to the role of the Chair and improvement of the Agora. All the work that is done by the Chair is often taken for granted but it does deserve special recognition as it requires great skill and competence and it’s one of the most challenging positions in AEGEE. What’s more, Tom has not only done an outstanding job during his two terms as the Chair of the Agora, but undertaken the role of the main organiser of the Spring Agora Enschede, so his efforts haven’t stopped. 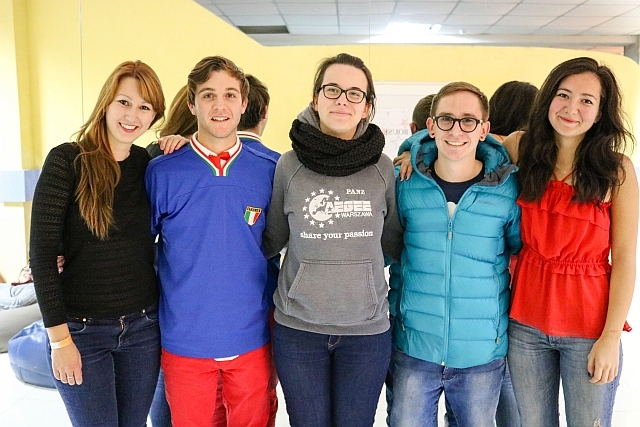 Marta: Definitely AEGEE-Bergamo led by Paolo Ghisleni, the main organiser of the Spring Agora Bergamo. I was amazed by their outstanding level of professionalism and a positive energy. It was true pleasure to work with them. Marta: Recent years have taught me to be sceptical of any predictions for the future. I would like to share my wish for AEGEE in 2017 instead. Europe and the world are changing drastically. 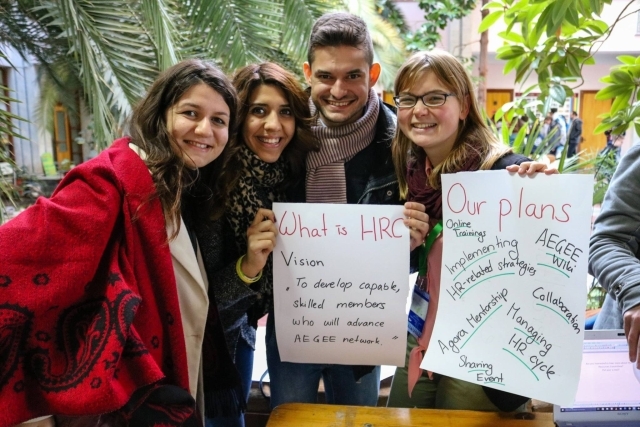 I would like to see AEGEE not only responding to particular events after they have happened but evolving and adapting to the new challenges and to the new environment. We cannot solve new problems with old solutions. AEGEE should face a wide debate on the state of Europe and what is the role of the our organisation in the changing society that has different concerns and attitude to the future than five years ago. Marta: First and foremost, after closing my university chapter, I intend to focus on my professional career and development in this scope. 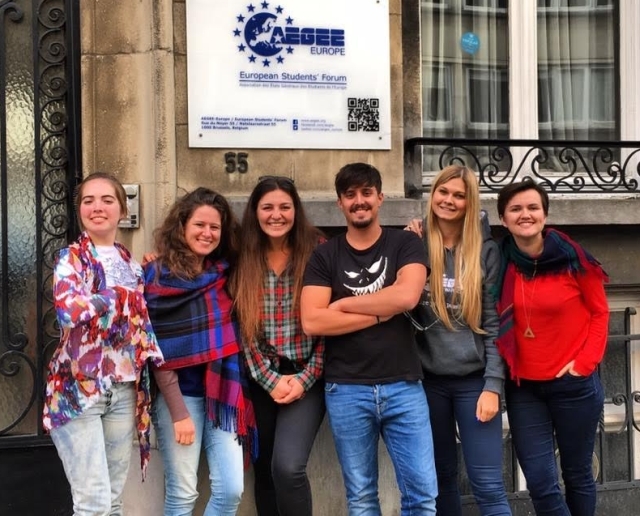 But I will also try to still stick around in AEGEE for a bit as I am always happy to deliver a training or help out in the area of my expertise. Marta: In Warsaw with friends. Paolo Ghisleni: My personal highlight is related to Agora Bergamo. It is not about to the event itself, though, but it is about to the people who made it. The whole preparatory process has been an amazing adventure which got me closer to those friends that I already knew from a long AEGEE time, allowing us to create an even stronger and lifelong bond based of mutual trust. Secondly, by needing a larger team, we gathered many other talents from various fields. This gave me the chance to meet a lot of new, formidable human beings which made my current life even richer than ever. This experience demonstrated how the destination is not as meaningful as the journey leading to it. Paolo: I still picture in mind the wave of joy which flooded the Fiera di Bergamo facility on the arrival day of Agora Bergamo. That was the way I dream this association: energetic, happy, brave, full of ideas and enthusiasm! Paolo: This year I’ve been visiting quite a lot of cities, meeting AEGEEans in most of them: Frankfurt, Yerevan, Barcelona and many more. In these places I’ve been fascinated by the passion which many girls and boys put every day for our association. People which we will never read about, people which will never spam our Facebook walls with fancy pics to show their work off. They are my outstanding members: volunteers who commit their best years for the sake of that big, ongoing project called Europe. Paolo: My praise goes to the Turkish antennae, which keep working despite the delicate period that their country is experiencing. For me they are the forefront of our peaceful army in the struggle for the building of our common European home. Paolo: The results of the recent elections across the world are highlighting the populism as one of key topic for 2017. AEGEE will surely face such phenomenon, both locally and internationally, and it will be necessary to react with concrete ideas and immediate actions to tackle it. Paolo: After several years of local and international activity, I want now to focus my contribution to the field of non-formal education: surely I’ll try to strengthen my activity within the AEGEE Academy. Paolo: It’s time to spend my holidays with my closest friends in Bergamo, having some good food and dreaming of new, amazing projects for us, our city and our beloved continent. Florian Hauger: My personal highlight in 2016 was the approval of AEGEE-Heidelberg’s EPM topic proposal “Europe under Siege – Populism and Anti-European Agitation” during Autumn Agora Chișinău. I am already excited about the great input of the AEGEE family and the critical debates about this pressing issue we’ll have in Zagreb. Florian: I was very angry and disappointed about what happened during Agora Bergamo’s Saturday night plenary. The public crucifixion of a fellow AEGEEan does not match with the values we strive for. Fairness and mutual respect are the foundations of our work and AEGEE people should not treat each other like that. I really hope this is not going to happen again! 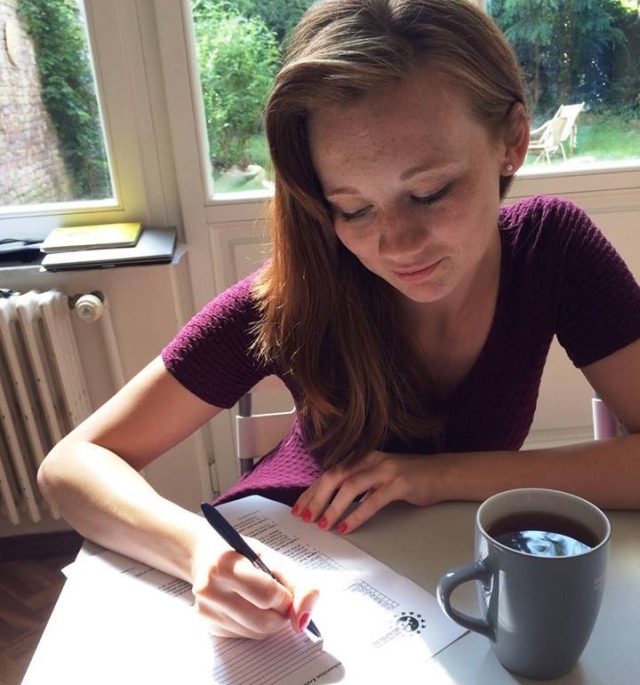 Florian: I want to name AEGEE-Amsterdam’s Romy Cartiere for her great work and contribution as EPM Content Manager in Leiden and AEGEE-Brescia’s Luca Bisinghini for his great passion and empathy for those who have lost everything. Both Romy and Luca are lion-hearted, true AEGEEans and role models for all of us. A third outstanding member to be mentioned is former Supreme Secretary General Svenja van der Awesome for her incredible inspiration, enthusiasm and motivation towards AEGEE newbies. Florian: I would like to name the British antennae AEGEE-Aberdeen, AEGEE-Canterbury, AEGEE-London and AEGEE-Manchester, who fought valiantly against the Brexit by sharing our vision of an open-minded and borderless Europe with their fellow countrymen. I am very impressed by their contribution and still angry about the shocking result of the referendum. Florian: I consider Luca Bisinghini’s Migration Interest Group (MIGR) to do a pretty awesome job. Although there’s still a lack of coordination, I am very happy that more and more antennae launched refugee programmes. Florian: EPM Zagreb! I am very excited about 300 AEGEEans coming together to join forces against anti-European populism and agitation. Can’t wait to get the conference started! Florian: 2017 will be busy! My main aim is the positive development of my beloved antenna. AEGEE-Heidelberg got some really cool new members who have to get trained, educated and inspired. Apart from local frontline duties, I really hope to make EPM Zagreb an unforgettable event for all participants. Other upcoming initiatives are our project „YOUrope: Interchanging hopes and challenges of EU participation“ with AEGEE-Kyiv and the Eastern Partnership Project. Fingers crossed on grant applications! 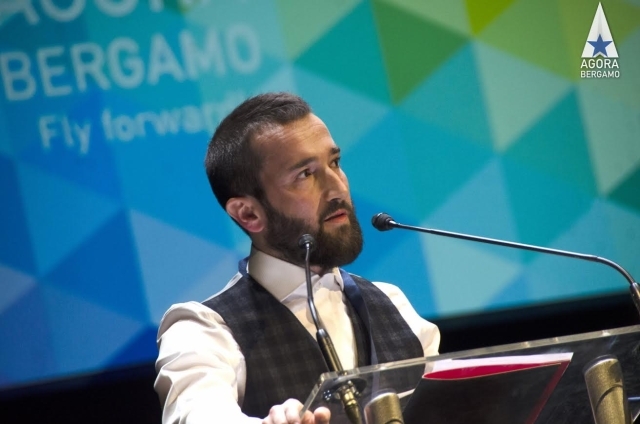 Florian: I will be in Poland for AEGEE-Kraków’s New year’s event. Gonna make some points for AEGEE-Heidelberg. Daniel Llamazares: Agora Bergamo! I was candidating for the position of Coordinator of a working group, something that I never imagined and I was really nervous! Daniel: EPM Leiden was a really nice experience and the Youth Mobility live meeting in Brussels, as well as the Leadership Training Course in Brussels will be always in my memories. I have really good memories of Agora Bergamo, the opening ceremony was something outstanding. Also the Leadership Training Course in Brussels was something really special and emotional for me where I got a deep understanding about what AEGEE was about. 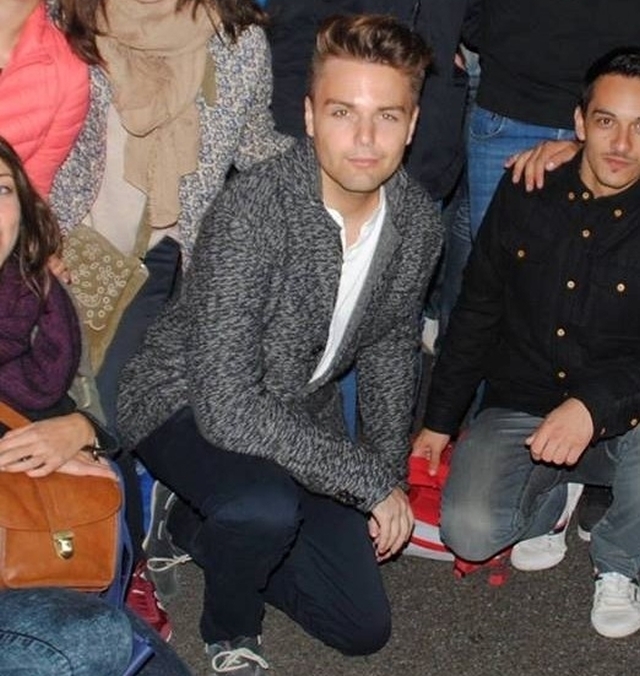 And I cannot forget the LTC of AEGEE-León where I met new members full of energy and ready to rock! Daniel: AEGEE is full of awesome members doing a great work, it’s impossible to appoint just one or three, cause most of the success depends of the people around you. But, I can say which three impressed me during the year. Ander Guerrero and Pablo Hernández from CD for their amazing work as External Relations and Financial Director; and Laura Pérez from AEGEE-León for her lightning speed appearance in AEGEE, becoming an important part of it in less than a year based on hard work. Daniel: AEGEE-Bergamo and AEGEE-Leiden for the hard work and for the importance of the statutory events inside AEGEE; but also antennae like AEGEE-Kyiv and AEGEE-Moscow must be mentioned for their New Year’s event, for showing what mobility can do and for creating a strong political message. Daniel: Civic Education was a really good example of success and how to work for other working groups, they created real interest in AEGEE to continue working in this field. This is something really important to have a bigger impact in our actions. Daniel: No idea, but I wish that youth mobility will become an important topic! Daniel: To work hard and play hard on Youth Mobility. If someone has the same plans don’t hesitate to contact me and join forces! Daniel: Sadly, I will not be able to travel abroad this year for New Year, so I will spend it in Spain and if things go well, maybe Madrid could be a good destination, but who knows. Andrea Schmelz: Being able to contribute to the Strategic Plan and shape AEGEE for the years to come during the Ideas Factory in León. Andrea: The moment and the way Ana Gancearuc gave main organizer Andrei Dodita a laptop to say thank you. I loved Agora Chisinau for so many reasons, the dedication and humbleness AEGEE-Chisinau displayed stuck most with me. Andrea: Ana Potocnik for asking the right questions, for never having claimed the applause she deserves for all the work she is doing in the background and for always recognizing the work of previous generations. When I grow up, I want to be like her. Andrea: AEGEE-Düsseldorf for not only having turned around their fate in 2015, but staying healthy and committed ever since. Andrea: DrinkWise, a long needed project; I am really hoping for them to be successful. Andrea: The launch of MyAEGEE. Andrea: I am committed to rebuilding HRC and turning it into a viable, productive and sustainable committee and hand it over to a new speaker in June. Too much work has been left undone in the last years. Andrea: In the cozy German city of Nuremberg. Claudio Gennaro: Definitely the cultural train trip we had in Lviv in spring for the LTC. Best activity ever done in my AEGEE life. Claudio: I decline to answer. Claudio: Roma Gnatyk from AEGEE-Lviv, honorable mention also for André Vigh from AEGEE-Lviv and Enrico Cadeddu from AEGEE-Cagliari. Claudio: For the second year in a row I will say the AEGEE election observation. Claudio: I hope in quality discussions about the phenomenon of populism in Europe and AEGEE and its possible implications for young people. Claudio: I will set myself on fire if someone else asks me this question again.